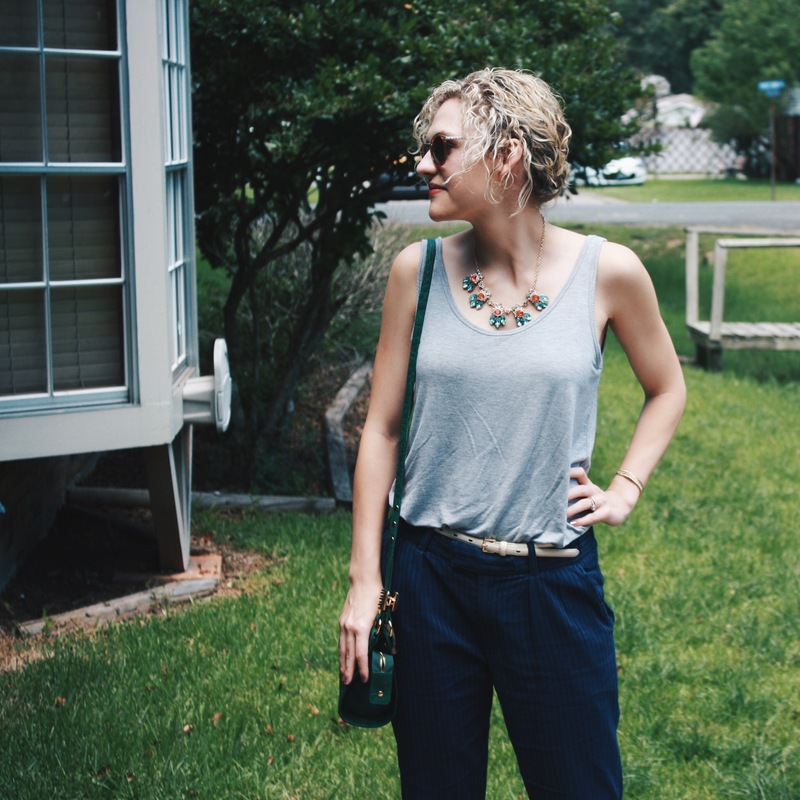 This look features a pair of new-to-me pinstriped Current Elliot pants. The past few weeks, I’ve been trading in the pants for skirts, dresses, and shorts because of the EXTREME heat and humidity. (This coming from a girl who would literally live in jeans every day of the week if she could.) 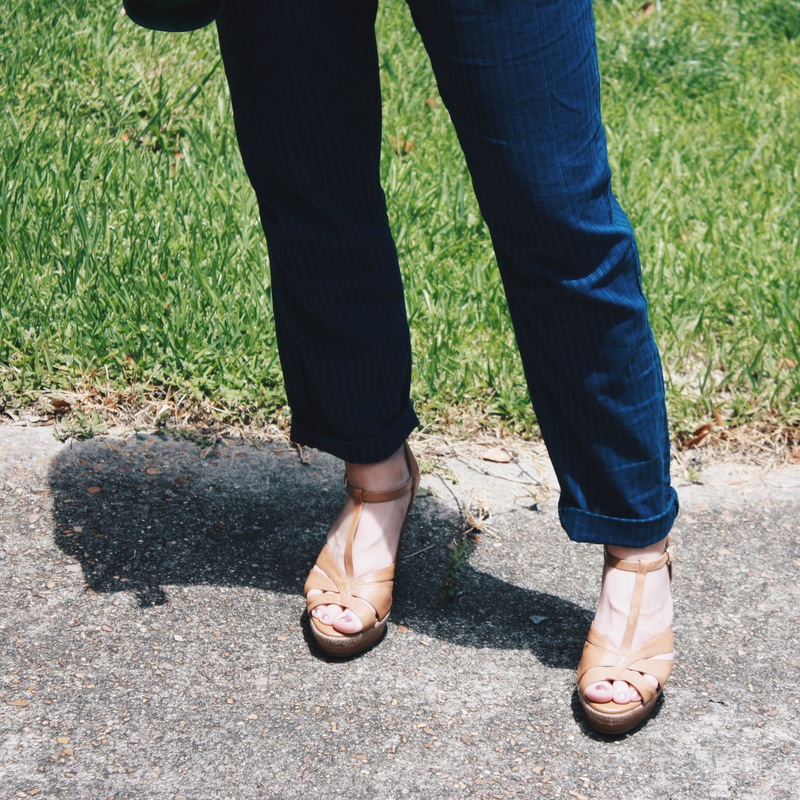 But these pants are so lightweight and breathable, they’re just as comfortable, and it’s easy to alter them to a cropped or capri length with a quick roll to each leg. On this particular day, I sported them with a basic grey tank, belt, heels, and multi-colored necklace for a bit of fun. 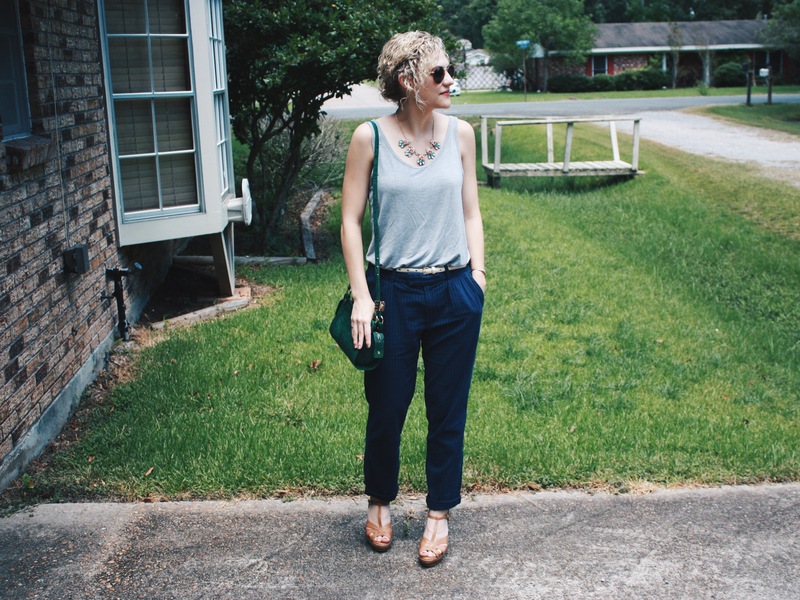 Tucking in the tank and the belted waist make for a more upscale-casual look, but I’d just as soon wear the pants with a graphic tee and Keds. I’m a cold-natured person (temperature wise, not at heart) and bring a jacket or light-weight sweater with me when I remember. The steamy conditions outside make the indoors feel drastically cooler than normal, so my light, layer-able pieces come in handy and maintain their usefulness, even in the summer. 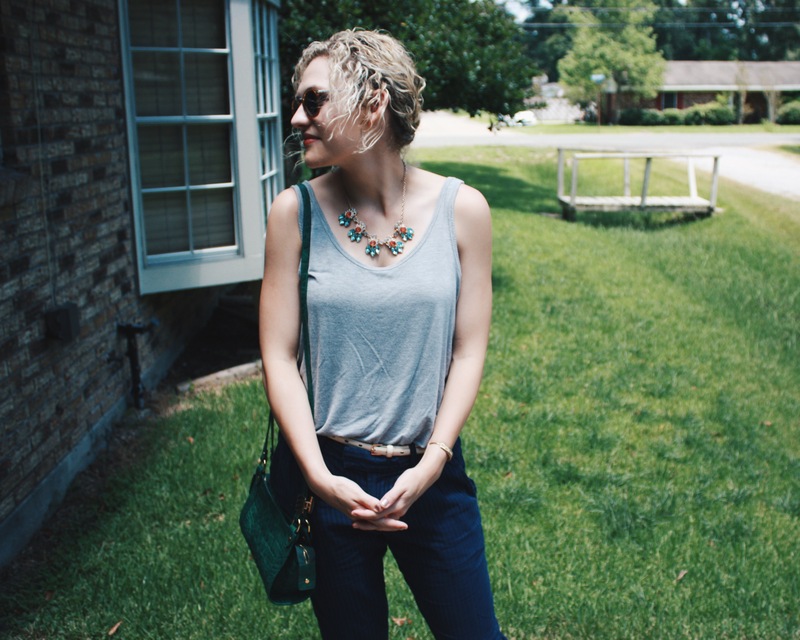 Thanks for stopping by to checkout MoreThanTrends (even though I neglected you all for the past month). Hope you’re staying cool… in all senses of the word.